French multimedia artist Stéphane Blanquet is a prolific figure in the contemporary art scene since the end of the 1980’s. In the 1990’s, Blanquet was very active both as an artist and a publisher and became one of the leaders of the underground art scene. His art was exhibited at the “Regard Moderne” gallery/library (Paris, France) in 1993 and 1996, in the USA and in Canada. It has been published in Blab! (USA), AX (Japan) and across Europe. In 1996, he received the prestigious “Alph Art du fanzine” prize at the “Angoulême International Comics Festival” for his work as a publisher. In 2008, he created an outdoor mural for the Kabinett Passage in the “Vienna Museumsquartier” in Austria. In 2009, he presented a major installation for the “Quintet” exhibition at the Musée d’Art Contemporain of Lyon (France) which had a strong impact and was noticed by “Le Monde” art critic Philippe Dagen. In 2010, he had a first solo show at the Span Art Gallery in Tokyo. In 2012, he presented “Distorted forest” at the Night Lights festival in Singapore and, in 2013, the “Glossy Dreams in Depths” installation at the Singapore Art Museum, covering 250 m2, attended by 100,000 visitors. 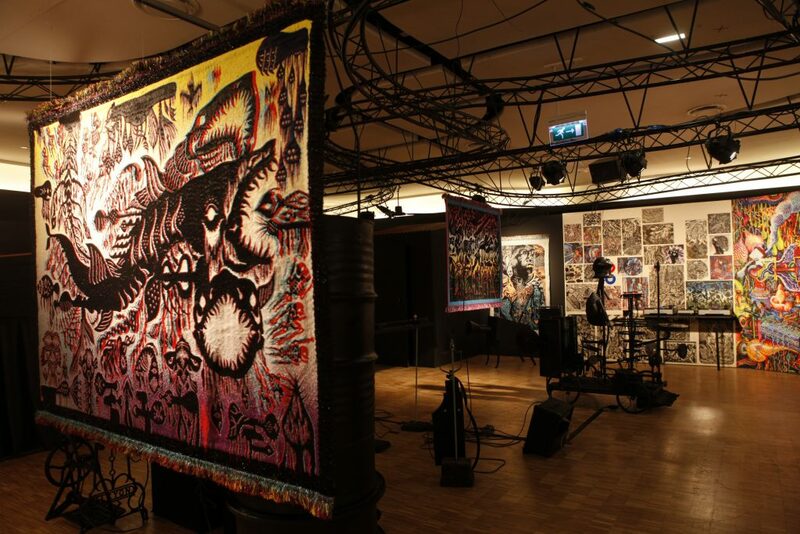 Recently, he presented a visual and sound installation at the Centre Georges Pompidou (Paris), “Goudron Pressage . Sillon Tympan”. His work was also part of the Auberive Collection group show, l’Esprit Singulier, at the “Halle Saint Pierre” and it was recently shown at the “Ferme du Buisson” art centre (France). He worked with Paramount Pictures and created an artwork for the promotion of the recent movie “Teenage Mutant Ninja Turtles 3”. He worked with the Theatre de l’Union of Limoges on a new play “Richard III”.